Mukulu, who has been held at Luzira Prison, is charged with 34 others with one count of terrorism, seven counts of murder, nine counts of aggravated robbery, one count of aiding and abetting terrorism and one count of crimes against humanity. Other charges include four counts of attempted murder and one count of belonging to a terrorist organisation. 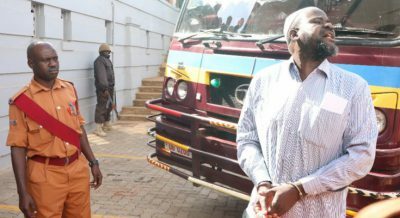 Mukulu was first detained at Nalufenya Police Station in Jinja District and appeared in Jinja Chief Magistrate’s Court in 2015 before he was transferred to Luzira Prison, only his co-accused, Dr. Aggrey Kiyingi living in Australia, is not in prison. They are also accused of launching a rebellion against President Museveni’s government and terrorizing people in Rwenzori sub-region in western Uganda before establishing a base in eastern Democratic Republic of Congo (DRC).